I love really early racing videogames. So much so that I even like making up ones that never existed. In fact, a ridiculous ad I made for one driving game that never existed was used in a recent Cracked article about advertising. And, from what I can tell, it was taken as real. This makes me quite happy. Ridiculous, right? Of course it is. 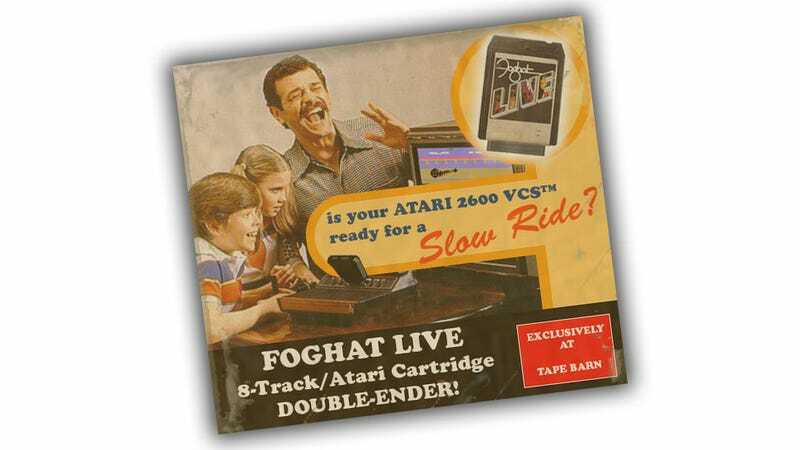 This Cracked article about exaggerated and absurd expressions of people in ads found it ridiculous as well, but not for the Foghat/Atari mashup content — it was for the insane expressions of the people in the ad. 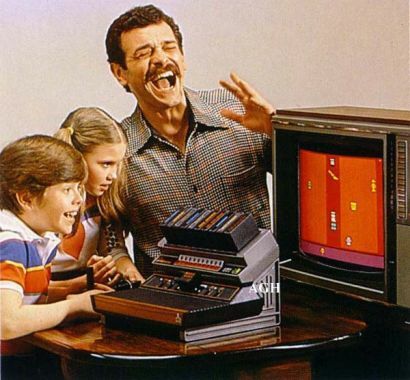 And they're not wrong — the original ad I modified into the fake ad, for an Atari cartridge-selector jukebox thing, does absolutely have the most insane expressions of rampant, unmitigated, improbable joy you're ever likely to see outside of an asylum. I think Cracked is a great site with consistently good articles, so I'm really delighted to see this was taken as real there. Also, it makes me realize that as sort of reverse-drag race slow-drive sort of game would be either really sublime or really awful. Or both.